Looks Good from the Back: Adrien: Summer Budget, July. Oh hey, hi there. You look really nice today, did I tell you that? Well, you do. Please remember I said that when you start getting all judgmental later. 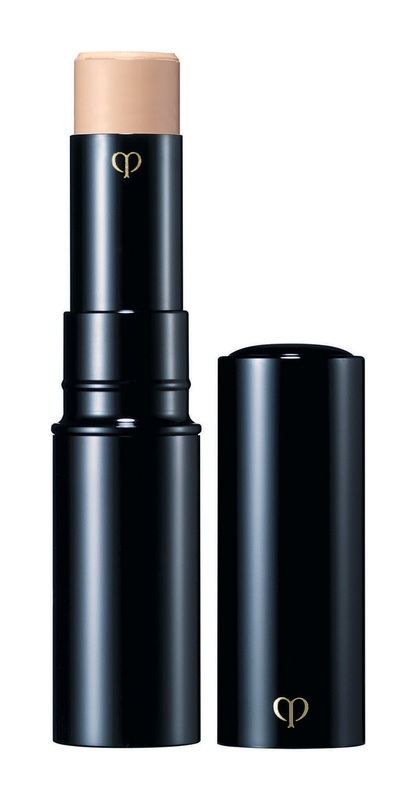 Cle de Peau concealer: $70. Good quality concealer that will last for a really long time. I reviewed this here. 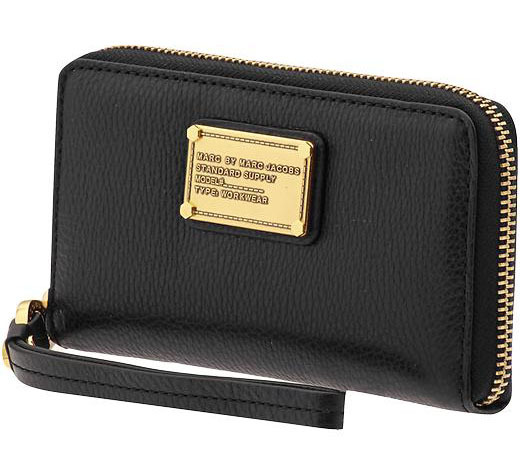 I've carried this wallet every day since I bough it. I reviewed it here. 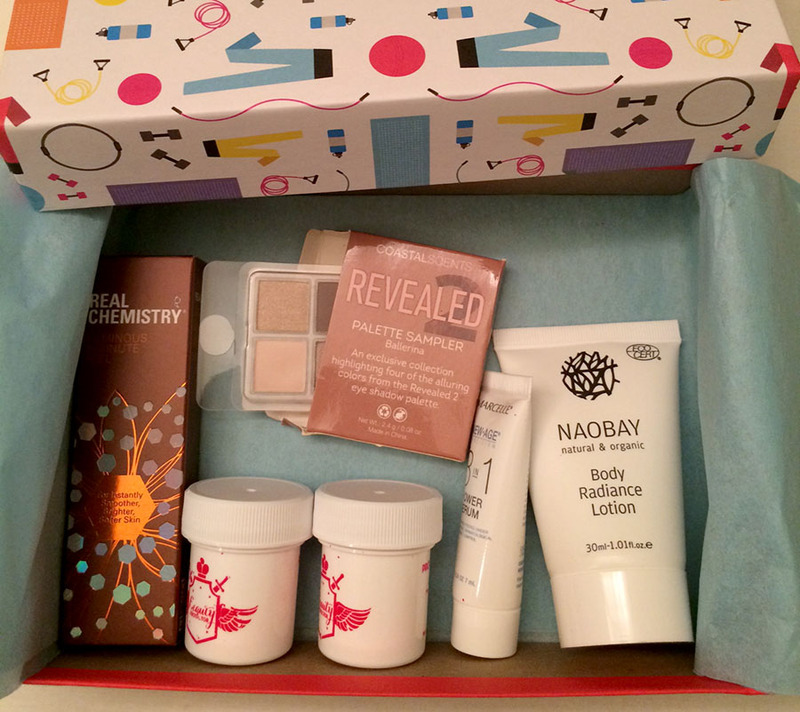 My July box was pretty good, overall. I got a very cute little eyeshadow palette, a chemical peel mask, some lotion that smells like lemon Pledge, a "power" serum I haven't tried yet, and some hair mask that smells really nice. If you're so tempted, here's my referral link. 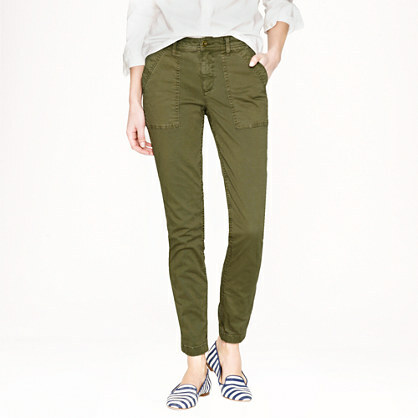 J.Crew twill utility pants: $42. I wore them here. These pants have become an unexpected summer staple. 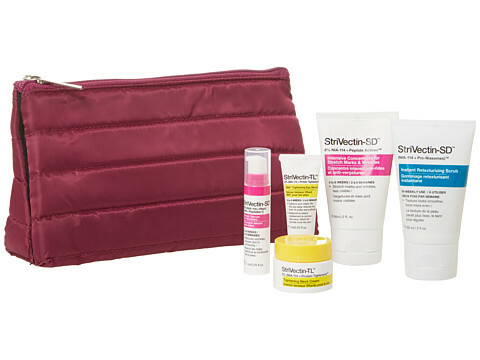 This kit is such a bargain (from TJ Maxx) if you like StriVectin products. I reviewed it here. My attempt to break my Lulu addiction. Zella leggings are good quality and I talked about them here. DHC Deep Cleansing Oil and Avene water: $27. Both from Dermstore. The cleanser I see as a staple, but fancy water to spray on my face definitely falls under "unnecessary expenditure." Still, I'm counting both because it doesn't even matter at this point. Jewelry from Dillard's 40% off sale: $23. 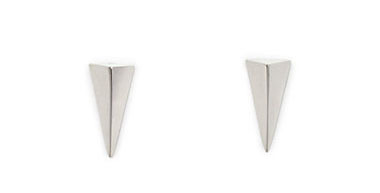 I got these earrings and a necklace that looks a bit like this. This sale was insane - heaps of costume jewelry all over the place and all deeply discounted. Hard to resist. I also bought some underwear (deeply discounted) but I really needed it so I am not bothering to include it in my budget. I don't generally talk about my underthings but I will say this bra is really good if you're a Natori fan. SO. Yeah. I bought a lot of stuff. $302 worth of stuff*, apparently. I'm slightly ashamed of going over my budget by, um, $107 but I truly like everything I bought and sometimes it just happens. I'm not going to go all hair shirt about it and forbid myself from shopping in August because that's just not going to work and *whine* THE SALESSSS. What I am going to do is start over and pretend like nothing happened. SO, my August budget is $150 and we'll see how I do. *If you just made a face of disgust please go back to the top of the entry and read the first part. You monster! (sorry, saw your tweet, had to come "yell" at you). I have this problem with trying to budget, or not eat so much junk food, or anything requiring restraint, where eventually I cave and spend a trillion dollars, eat a million donuts, or whatever. A lot of your purchases will last a while, and hopefully save you money in the next few months. Hopefully you will be able to resist "pre-fall" shopping. I was starting to get a complex! But yeah, I can only be good for so long and it's really easy to justify purchases as "for blog science." Also, I'm getting a roommate, which will help my financial woes!